Yeah, yeah, I know it’s a cheque donation pic. Yes, so? That’s what we do, well at least part of what we do. It is also about a Youth Project, and that is what we do too. 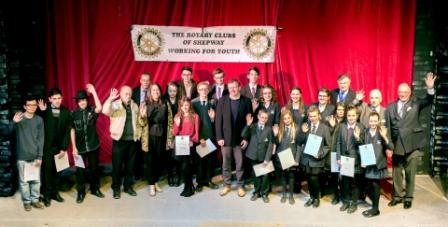 Folkestone rotary Club have been involved with ‘The Shed’ youth project in their town for a time, and it’s going well. 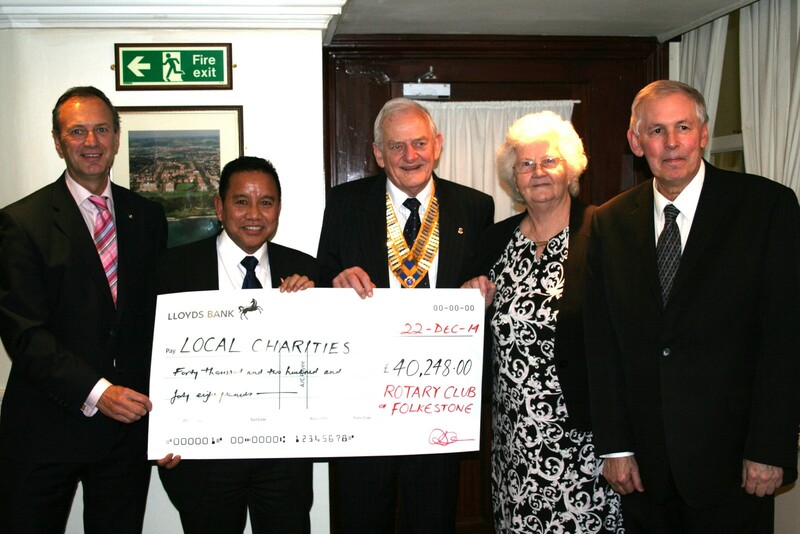 So well in fact that they (the Shed) need an extra Youth Worker, and that is what the cheque from RC F/s is to pay for! 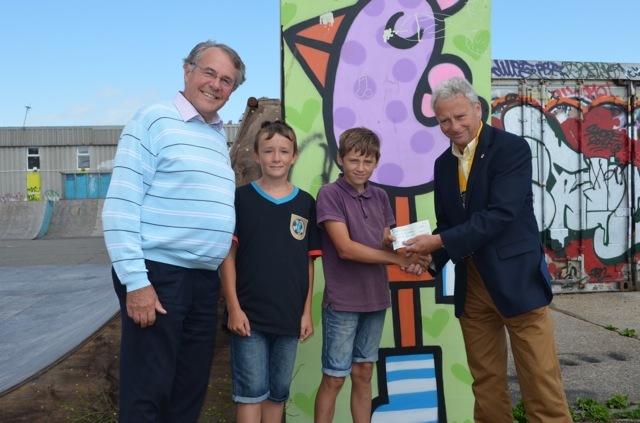 Pictured are two of the young people who use the shed’s facilities, and the Rotarians are – David Roseveare, President Elect, and Tom Miller who is on the club’s Community Affairs committee. Ruth Tyler, who is the project leader at the Shed was very grateful for the club’s continuing support. Its Youth competition time down ol’ Rotary way! There are several Young chef competitions, and some ‘Youth Speaks’. 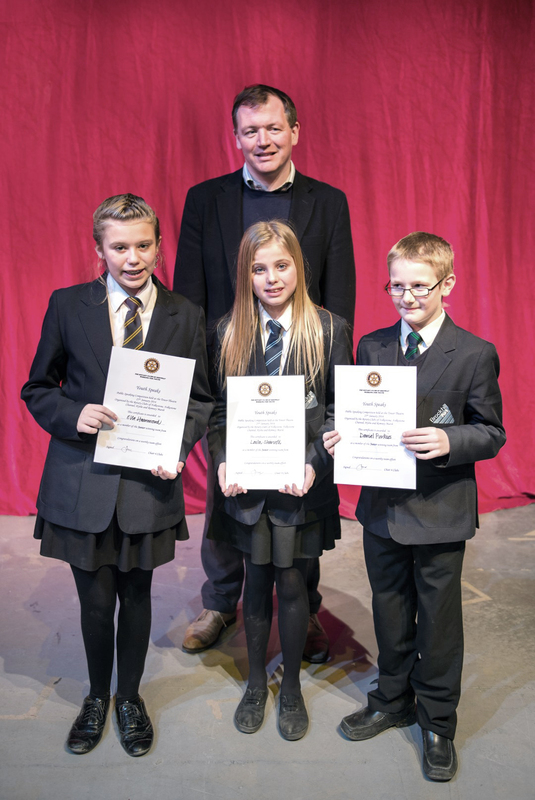 Four clubs in the Shepway area, Folkestone, Folkestone Channel, Hythe, and Romney Marsh had a joint Youth Speaks competition which they held at the tail end of January in the Tower Theatre in Folkestone. Three local schools took part – the Brockhill Performing Arts College, Folkestone School for Girls, and the Harvey Grammar School. subjects included such current topics as – ‘the NSA surveillance scandal’ – the importance of donating to charity – why we should never forget the Holocaust – justification of some acts of terrorism (Cor! ed) – critique of the project to save the environment – and (wait for it) ‘an assessment of Winston Churchill’s actions before he became Prime Minister’. There were three judges – Kenneth Colley, actor and stage director, Susanna Howard, director of ‘Living Words’, and the local MP – Damian Collins. Inviting the winners to the Westminster Village was his offer. 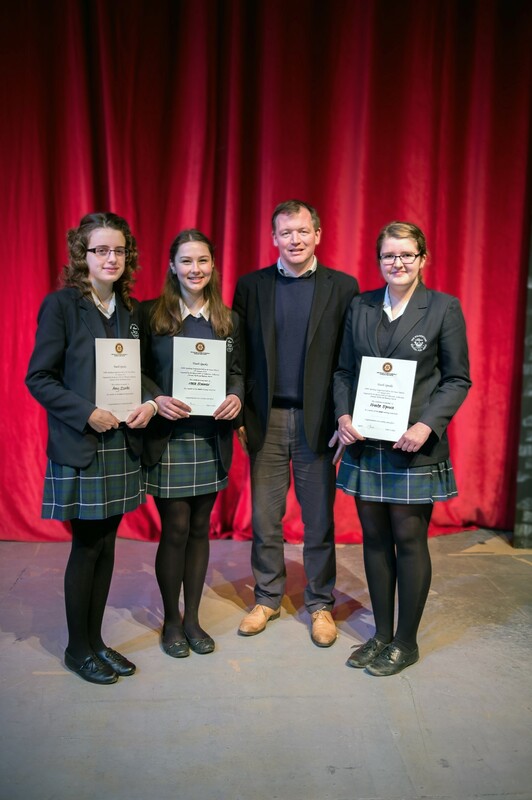 The judges and audience ‘Were delighted by the imagination, confidence, and skills in argument and presentation.’ And the winners were…………. And the dude with the winners? That is citizen Damien in the suede sneakers. I hope they enjoy their visit!